As per media reports, the shooting of the film commenced from July 3 in Kochi. 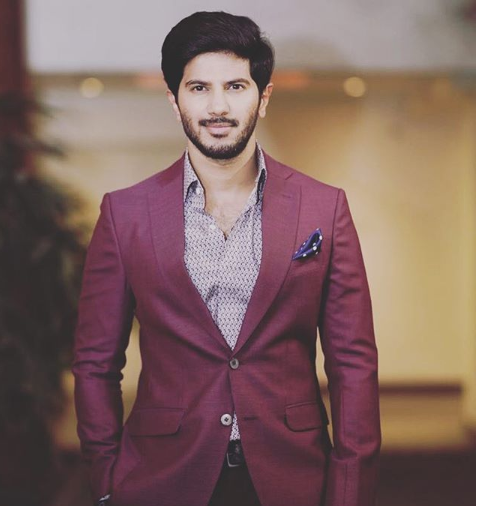 Mollywood heartthrob Dulquer Salmaan is one of the best and versatile actors of the industry. Now, he is all set to take Bollywood by storm as well, Dulquer is gearing up for his Bollywood debut Akarsh Khurana-directed Karwaan, which also features Irrfan Khan, and web series star Mithila Palkar. Well, Dulquer has not signed any Malayalam film since a very long time as he was busy with his Bollywood project and other South films. Now, according to media reports, Dulquer has begun with the shoot of his next. The film directed by debutant B C Noufa. As per media reports, the shooting of the film commenced from July 3 in Kochi. Titled Oru Yamandan Premakatha, the film is written by actors Vishnu Unnikrishnan and Bibin George. “Soubin Shahir and Salim Kumar also have important roles in the film,” Bibin added. The makers of the film are currently in a search of heroine for the film. Meanwhile, Dulquer was last seen in Telugu hit, Mahanati. Based on the life of legendary actress Savitri, the film also starred Keerthy Suresh, Samantha and Vijay Devarakonda. Dulquer will also be shooting for the Bollywood film, The Zoya Factor that stars Sonam Kapoor in the lead and the Tamil movie, Vaan. Also, Dulquer has got an amazing kick-start to his Bollywood debut. Fans can’t stop raving about his performance in the Karwaan trailer.